Dental implants are the most technologically advanced, yet natural way to replace missing teeth. The titanium implant is durable and will mimic the full function of a tooth, from root to crown. Dr. Joseph Thompson, your Greeley dentist, dedicates his efforts to giving patients quality, gentle care by providing a safe and relaxing environment. Dr. Thompson places and restores dental implants for single, partial and full arch restorations. Dr. Thompson works only with labs located in the USA. His dedication to providing quality implants and restorations ensures a better fit and longer-lasting results. In fact, Dr. Thompson has corrected mechanical and physical dental implant failures stemming from other offices. His passion for dentistry involves helping people achieve optimum oral health. He is never finished until his patients are satisfied with their results. The titanium posts are implanted into the jaw bone. If there is not enough healthy bone, patients may need bone grafting to improve the quality and increase the amount of bone necessary for the implant. Once the post has fused to the bone, and the soft tissue surrounding the implant has been given time to heal, Dr. Thomas will place an abutment on top of the post. The abutment will secure the new crown, bridge or denture plate in place. In as little as 2-4 implants, denture wearers can say good-bye to ill-fitting dentures. 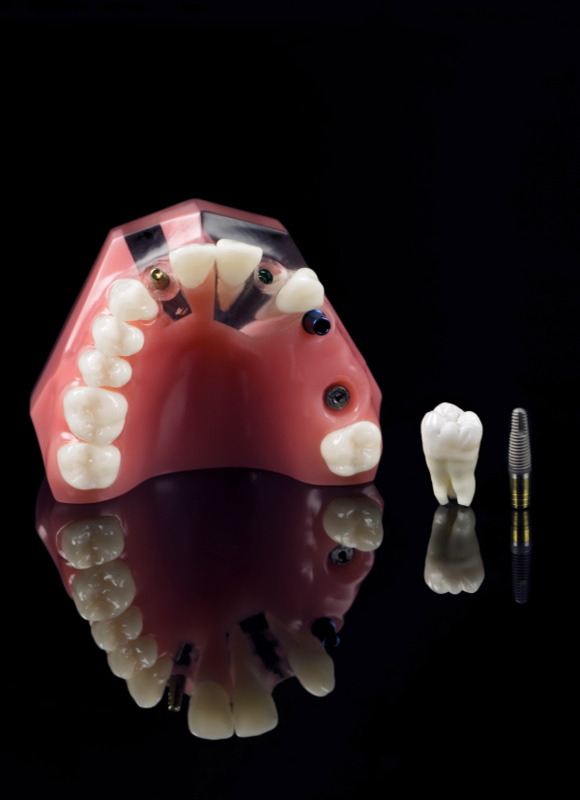 - Fixed dentures are screwed onto the abutments and mimic permanent teeth. Dr. Thompson will remove them for a complete cleaning during your routine exams. - Removable dentures snap onto the abutments so patients can remove them for more frequent at-home cleanings. If you are interested in finding out more about dental implants or want to know if you qualify, contact Dr. Thompson’s Greeley dental office to schedule a consultation.